Our drug-screening provides employers with the most accurate information about the presence of drugs and alcohol in workers’ urine, while preserving the dignity of those being screened. Our specimen collectors are DOT certified, which ensures that a valid specimen is being collected. Our drug-screening program follows all DOT testing protocols. Our collectors are also trained as certified breath alcohol technicians. 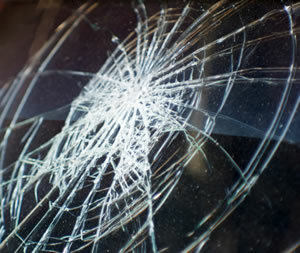 Testing is available at our location or at the accident site; results are typically available within 24 -48 hours. Answer: Subpart C – Tests required §382.303 Post-accident testing. (a) As soon as practicable following an occurrence involving a CMV operating on a public road in commerce, each employer shall test for alcohol for each of its surviving drivers: (1) Who was performing safety-sensitive functions with respect to the vehicle, if the accident involved the loss of human life; or (2) Who receives a citation within 8 hours of the occurrence under state or local law for a moving traffic violation arising from the accident, if the accident involved: (i) Bodily injury to any person who, as a result of the injury, immediately receives medical treatment away from the scene of the accident; or (ii) One or more motor vehicles incurring disabling damage as a result of the accident, requiring the motor vehicle to be transported away from the scene by a tow truck or other motor vehicle. (b) As soon as practicable following an occurrence involving a CMV operating on a public road in commerce, each employer shall test for controlled substances for each of its surviving drivers: (1) Who was performing safety-sensitive functions with respect to the vehicle, if the accident involved the loss of human life; or (2) Who receives a citation within thirty-two hours of the occurrence under State or local law for a moving traffic violation arising from the accident, if the accident involved: (i) Bodily injury to any person who, as a result of the injury, immediately receives medical treatment away from the scene of the accident; or (ii) One or more motor vehicles incurring disabling damage as a result of the accident, requiring the motor vehicle to be transported away from the scene by a tow truck or other motor vehicle. (c) The following table notes when a post-accident test is required to be conducted by paragraphs (a)(1), (a)(2), (b)(1), and (b)(2) of this section: Table for §382.303(a) and (b) (d)(1) Alcohol tests. If a test required by this section is not administered within two hours following the accident, the employer shall prepare and maintain on file a record stating the reasons the test was not promptly administered. If a test required by this section is not administered within eight hours following the accident, the employer shall cease attempts to administer an alcohol test and shall prepare and maintain the same record. Records shall be submitted to the FMCSA upon request. (2) Controlled substance tests. If a test required by this section is not administered within 32 hours following the accident, the employer shall cease attempts to administer a controlled substances test, and prepare and maintain on file a record stating the reasons the test was not promptly administered. Records shall be submitted to the FMCSA upon request. (e) A driver who is subject to post-accident testing shall remain readily available for such testing or may be deemed by the employer to have refused to submit to testing. Nothing in this section shall be construed to require the delay of necessary medical attention for injured people following an accident or to prohibit a driver from leaving the scene of an accident for the period necessary to obtain assistance in responding to the accident, or to obtain necessary emergency medical care. (f) An employer shall provide drivers with necessary post-accident information, procedures and instructions, prior to the driver operating a CMV, so that drivers will be able to comply with the requirements of this section.